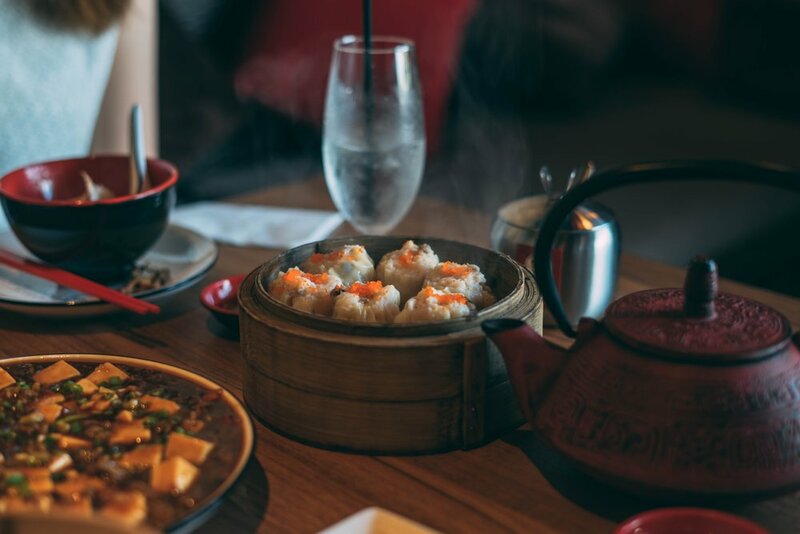 All restaurants serving Dim Sum today will offer a variety of teas, and waiters at traditional Dim Sum restaurants will usually ask which tea you want before they take your food order. Jasmine tea is often served by default, but there is a delicious array of teas, other than Jasmine, that complement Dim Sum. You’ll probably find one or two that suit your palate well. There are dozens of green tea varietals offering a range of flavors from vegetal, sweet and cream-like to toasty and nutty. Overall though, green tea is “clean” tasting and wonderful for cleansing the palate between bites, allowing the unique flavors of each piece of Dim Sum to shine through. A popular variety of green tea is Dragon Well (Lung-Jeng in Cantonese.) It is an invigorating tea that cuts through any greasiness present in food, making it a great choice if you are ordering deep-fried items. Pu-erh (Bo-Lay in Cantonese) is popular in China but apparently less well known in the west. It is a traditional tea of choice to be served with Dim Sum, but remember that it's strong and considered by many to be an acquired taste. Sometimes referred to as the wine of teas because it improves with age, Pu-Erh is a black tea that develops an earthy aroma and full-bodied taste as it ages. When consumed piping hot, Pu-erh cuts through grease better than any other tea, making it a great choice if you are ordering dishes with a higher fat content. Chrysanthemum (Gook-Fa in Cantonese) is a caffeine-free herbal tea made from whole, dried chrysanthemum blossoms. It is light, sweet and refreshing, in contrast to the dark, earthy flavors of Pu-erh. Chrysanthemum is a popular tea in Hong Kong Dim Sum restaurants and it complements steamed dumplings, seafood-based dishes and light desserts. Oolong (Wu-Long in Cantonese) is a safe option for any Dim Sum feast because most people enjoy it. Like black tea, it is fermented, but for a shorter time, resulting in a brighter, lighter, coppery beverage. It seems to take the edge off the salty, spicy meat dishes and boosts the flavor of stuffed buns and other baked items.